1 and 5 Chipman Hill date to the mid-19th century. They were built as single family homes for brothers-in-law Aaron Hastings and Robert Armstrong, both of whom were Protestant Irish. Armstrong and Hastings bought the lots of land from Elizabeth Chipman in 1854. She was the widow of Ward Chipman, for whom the street was named. By 1859 both men went bankrupt and lost their homes in an 1860 public auction. Over the ensuing years the homes were owned by prominent businessmen like James Moran, or politicians like Senator James Dever, or doctors like McCarthy and Pratt. 5 Chipman Hill is also known as Senator Dever House. James Dever was an Irish-born merchant and political figure in New Brunswick, who came to Canada with his family while he was still young. He sat as a Liberal in the Senate of Canada from 1868 to 1904, dying while in office in Ottawa at the age of 79. With its sister properties, 5 Chipman Hill is recognized on the Canadian Register of Historic Places. The properties are designated a Provincial Historic Site for their architecture; they illustrate upper-middle class urban housing typical of Saint John during the mid-19th century when the city was at its economic peak. The rectangular massing, low pitch gable roofs and classic entrance details are good examples of elements from this style. However, it was their brick construction that enabled these homes to survive the Great Fire of 1877 and prevent its spread, thereby saving a large part of the city. 5 Chipman Hill has eleven units, just like Pratt House next door. It boasts a number of different suite types from 1 Chipman Hill, however, including three of our smallest units, each with single bed, kitchenette and en-suite 3-piece bathroom. Along with a few of our standard open concept executive units, Senator Dever also features two one-bedroom units, each with a queen bed, full kitchen and full en-suite bathroom. 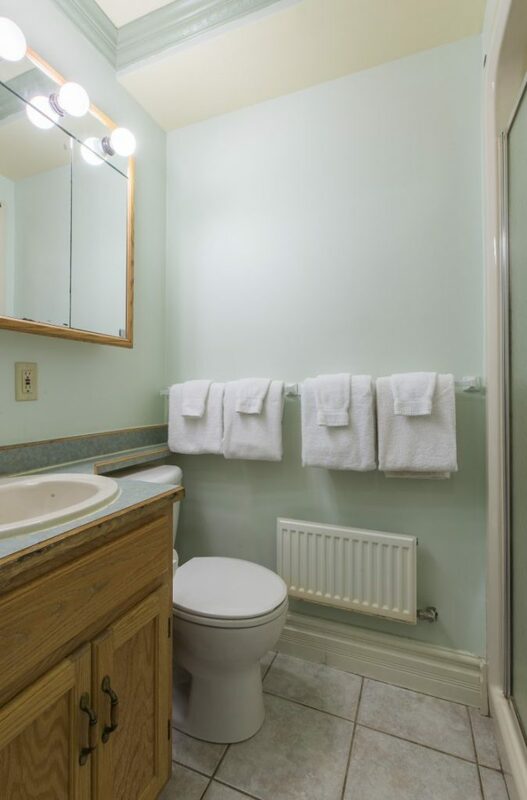 Speaking of full bathrooms, the full bathrooms in this property all have jetted tubs. (Except for the penthouse, which has a whirlpool built for two!) This building plays host to both nightly guests and longer term residents, all of whom enjoy its spacious hallways and small common areas on the ground and second floors. The complimentary laundry facility is located at the basement level, where there is also a second building entrance/exit. 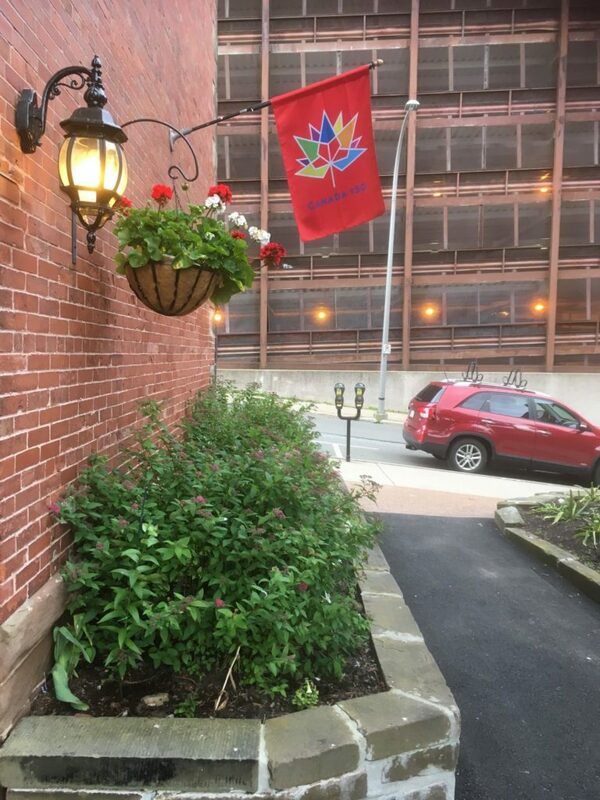 For information on parking at 5 Chipman Hill, please contact our friendly Innkeepers. 5 Chipman Hill has a Walk Score of 96.